About the only advantage of Brent's troubles with Topps is that since he didn't open as many cases, it didn't take as long for him to get me my cards. 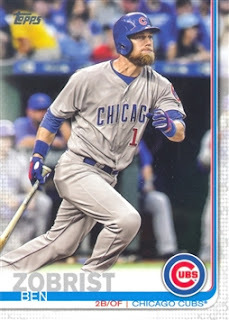 My Topps 2019 Series One cards have arrived. 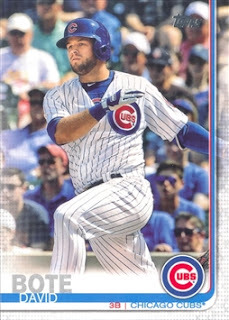 As usual I purchased a complete set and a Cubs team set. 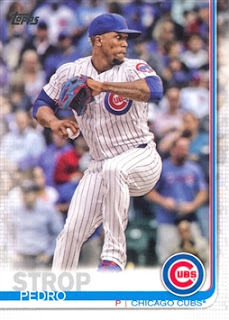 Up today are the Cubs cards. There are sixteen Cubs cards; twelve players, one league leader, two checklist cards, and the Wrigley Field Team card. 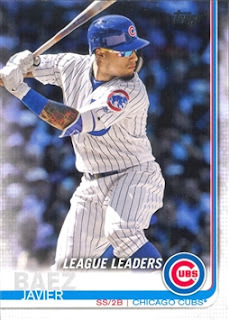 Javy Baez was the National League RBI leader last year. 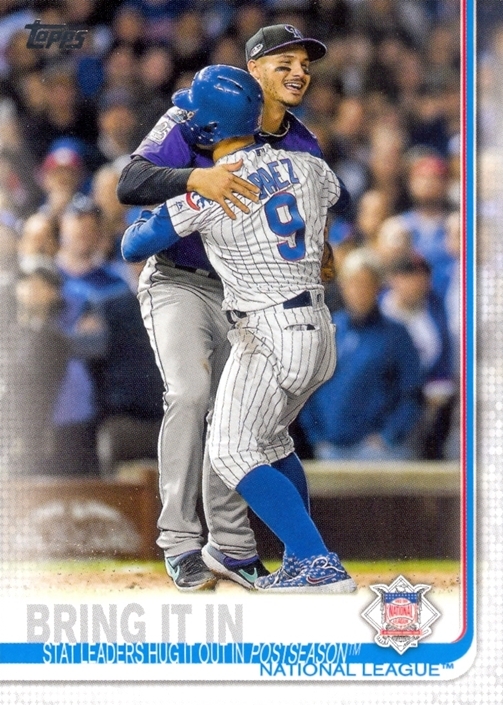 .... while Javier Baez gives a hug to Nolan Arenado on this one. 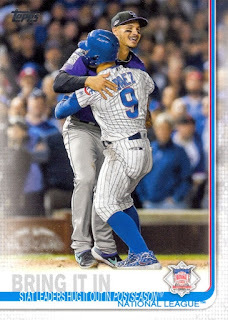 Those Cubs sure are a friendly bunch, aren't they. 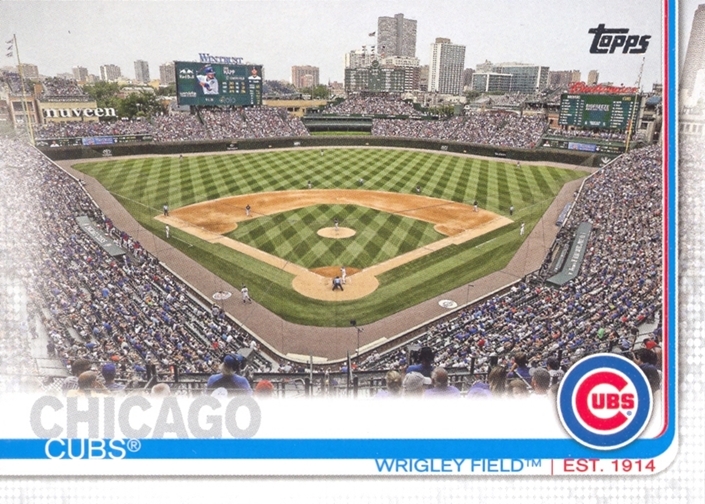 Here's the team card with a picture of Wrigley Field. 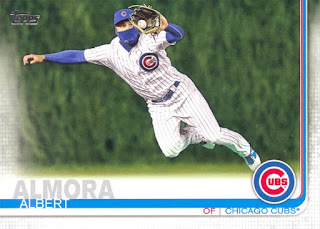 Below are all the players. 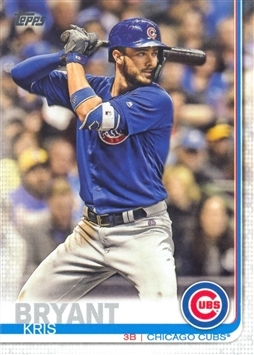 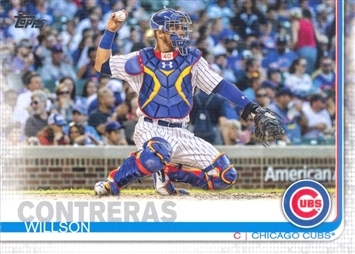 All twelve are currently on the 40 man roster, which means Topps was really good at picking the players or the Cubs haven't been very active in the off-season, or more likely, a combination of both. 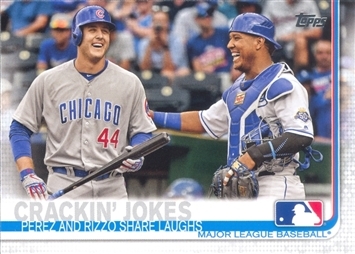 Not a bad selection of players. My biggest complaint is that there are too many horizontal cards. 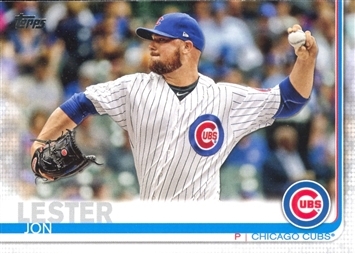 I like all of my cards to be vertical. 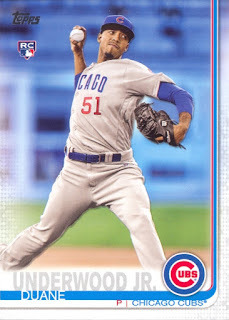 What's the odds on Russell being traded and then not getting a card until Update? 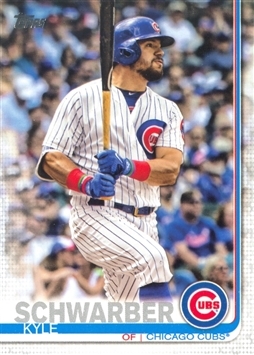 Not very likely I suppose. That Arenado photo is from the playoff game where Baez "may or may not have" interfered with Arenado trying to make a double play in the extra innings one-game playoff last year. 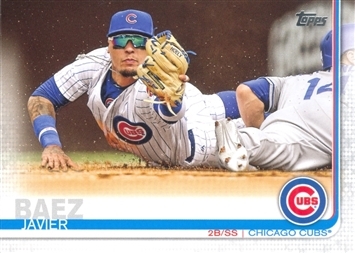 Baez's base card is a fantastic photo, that's Stadium Club worthy. 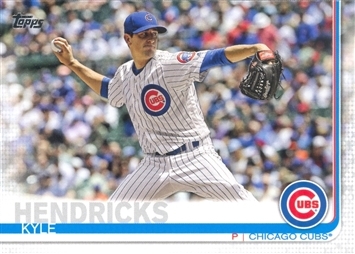 And I agree, I fully expect Underwood to be the all-in Cubs RC for Topps this year. 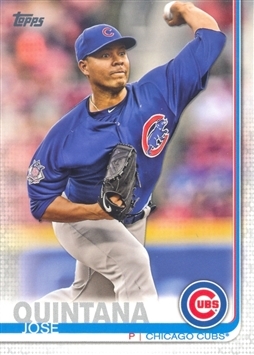 Tseng was last year's guy, need a new show pony.